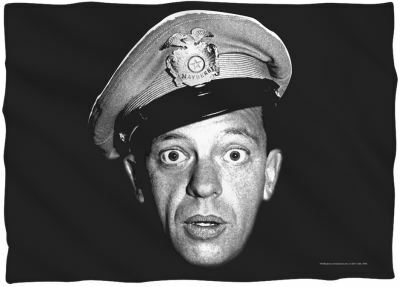 Barney's face is on the case....pillow case that is. Insert your favorite bed pillow and have a great night's sleep because Barney's eyes will be wide open watching over you. 100% polyester pillow case is double the fun because the design is on both sides. These pillow cases measure 20 in. x 28 in and it fits a Standard pillow like the ones used in Otis' cell at the Mayberry Courthouse. Note: Dye Sublimated Print. Each item is Uniquely Hand Printed in the U.S.A. The dye sublimation printing process can create slight imperfections over seams and/or folds and are unique to and a part of each item.